Austin Maul, who kicked field goals at Rancho High, played tuba before the Super Bowl. 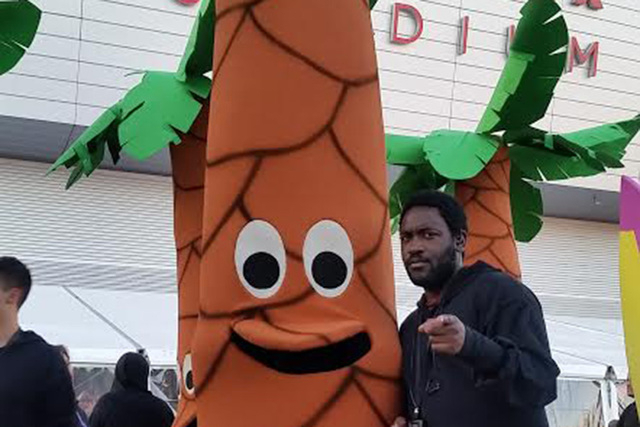 Then he slipped into a 14-foot palm tree costume and danced behind Katy Perry at halftime. It has been said by philosophers, and perhaps even by Russell Wilson after throwing that ill-fated goal line pass on Sunday with an entire nation and probably even some guys at a weather station in Antarctica watching, that one sometimes can’t see the forest for the trees. 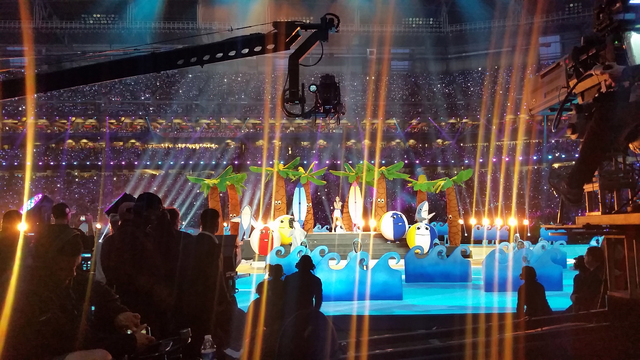 But if you were wearing a giant palm tree costume at halftime of Super Bowl XLIX, and you were positioned just right — and you squinted through the mesh eye holes — you could see Katy Perry sing “Teenage Dream” and “California Gurls” from very close range. Provided Lenny Kravitz didn’t get in the way. That was Austin Maul’s vantage point of the Super Bowl halftime show sponsored by Pepsi and yellow Labrador puppies who take the long way home. Austin Maul is the former field goal kicker for the Rancho High football team, and a former tuba player for the Rancho High marching band. At halftime, he would excuse himself from the pep talk to play with band mates, as they do at small high schools in Iowa and Nebraska and other places in the Heartland. 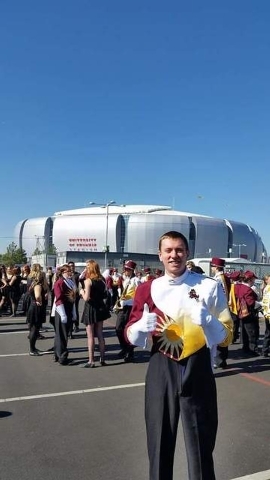 He marched with the ASU band and played tuba before the Super Bowl. Pretty neat stuff, because unless the tuba player for (Jimmy Fallon’s band) The Roots switches to glockenspiel, or Chuck Barris brings back the “The Gong Show,” there’s really not much to which a tuba player can aspire. Whaddya’ goin’ do at the Super Bowl? I’m gonna play my tuba NOW! 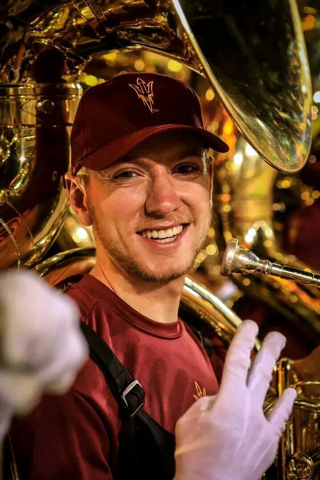 Austin’s mom, Karen Mulcahy, executive assistant to Clark County Commissioner Steve Sisolak, said she was extremely proud of her son getting to play the tuba on one of the world’s largest sports stages. “But I didn’t really see much of the pregame show because Bob Costas was doing all the talking,” she said. It was then his mom finally got to see him. He no longer was a blurry image over Bob Costas’ shoulder. Karen Mulcahy’s son was the second giant palm tree on the left, third step of the stage. Austin Maul danced inside his giant palm tree costume, or mostly thrashed around inside while trying hard not to fall. From the stands and on TV it sort of looked like dancing, or like Marshawn Lynch during a mandatory news conference. He did not have a wardrobe malfunction. He managed to leave the stage without tripping up Lenny Kravitz. He left right after halftime, beating the crowd, arriving at his apartment just in time to see Tom Brady throw the winning touchdown pass to Julian Edelman, and Pete Carroll and Russell Wilson not seeing the forest for the trees. He said before the Super Bowl he was sworn to secrecy about being a dancing palm tree at halftime. It may or may not have had something to do with underinflated balls and an ongoing investigation by Roger Goodell’s gumshoes. 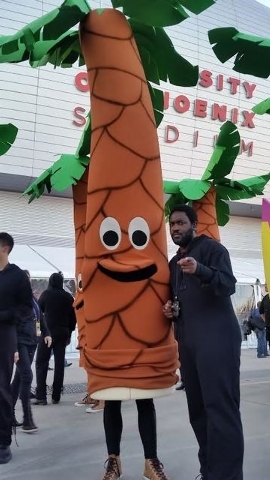 But as soon as he extracted himself from the giant palm tree costume, he put up a photo on Facebook, saying that was him inside. At first, people were skeptical. Then they figured that had to be Austin inside the giant palm tree suit because this is something one wouldn’t normally make up in order to impress friends. “I can’t even tell you how much new-found fame I have,” said the 20-year-old sophomore economics major who wants to go to law school when he’s through playing the tuba. Rancho was 0-9 during his junior season, and the Rams weren’t very good his senior year, either. But Austin Maul said it was fun kicking field goals for Rancho. He said he got to be a pretty good punter, too, probably because he got so much practice. But he was a better tuba player than he was a field goal kicker or a punter. He played in the Las Vegas Philharmonic and toured China; he played in the U.S. Army All-American Marching Band and toured the Alamodome in San Antonio. At Arizona State, he played AT&T Stadium when ASU met Notre Dame at a neutral site. 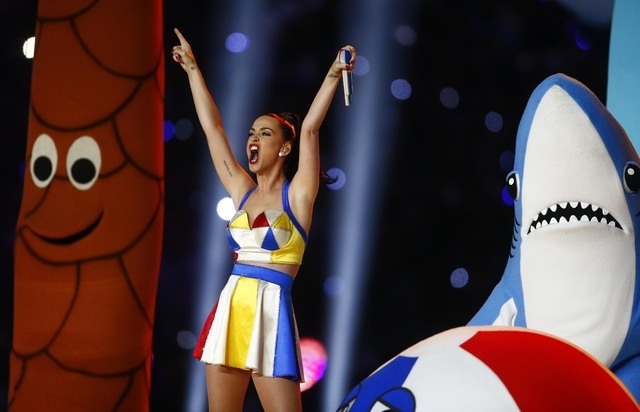 No offense to panda bears and hulking domed stadiums, but nothing compares to playing the tuba before the Super Bowl, Austin Maul said, or gyrating in a giant palm tree suit at halftime of the Big Game with the Roman numerals while the chanteuse Katy Perry sings anthems about teen angst, or whatever she sings about. He said it would have been cool to have been one of the dancing sharks. But they needed tall, slender guys with strong shoulders to be the giant palm trees because, as he said, those costumes were quite top heavy. 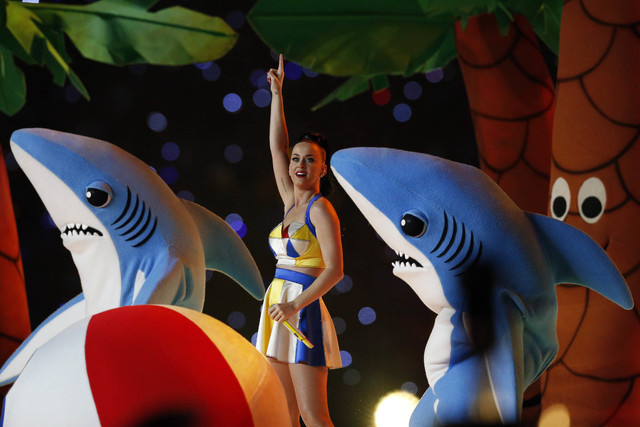 The palm trees and the dancing sharks and the overinflated beach balls (you can insert another Katy Perry joke here) practiced five to six hours a day for 10 days leading up to the Super Bowl, which probably was more than Pete Carroll practiced on his play-calling near the goal line. The halftime dancers even got to meet the star of the halftime show when she came in to check on their choreography during one of the last dress rehearsals. No, Austin Maul said. He didn’t get a chance to ask Katy Perry if she really kissed a girl, or if that was just something she put in there to see if you were paying attention.